Serenity awaits at Le Spa Du Metropole, with a variety of expert treatments to soothe, pamper, and refresh each of its visitors. 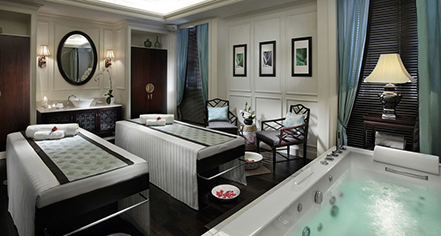 Set within the picturesque Sofitel Legend Metropole Hanoi, the spa's lobby promotes a serene atmosphere, with artifacts surrounding plush furnishings amid ambient lighting. The variety of treatments combine a balance between the traditions of East and West, with luxurious ingredients crafted by a revered parfumier. 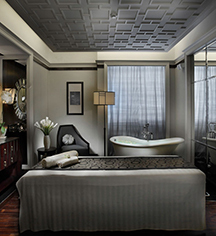 Guests can also enjoy a hammam and sauna within the spa's space.